Being a mom takes tremendous patience, strength, sacrifice and humor. Even though being a mom is hard work, the reward when your child says “I Love You” makes it all worth it. 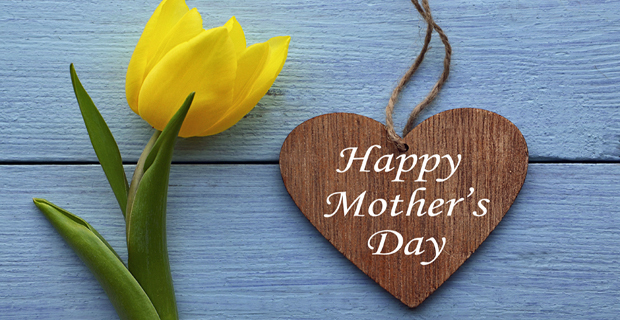 Enjoy being a mom this Mother's Day and every day. Perfect for Mom and the kids, here are some fun family things to do in the New Jersey, New York and surrounding areas. Also, see other Mother's Day Ideas. Get mom aboard a digger machine at Diggerland. Operate heavy machinery, drive skid-steers and climb the ropes courses. Awesome Fun! Look for Moms Dig Discounts. 300 Ocean Ave, Point Pleasant Beach, NJ. FREE Admission for Mom to Jenkinson's Boardwalk aquarium, fun house, mini golf, and rides all day with paying child. FREE chair massages for Moms. Children can enjoy face painters & balloonists 1pm-4pm. Moms ride FREE at Morey's Piers on Mariner's Landing and Surfside Piers, 12-5pm. Tea party for the whole family at the Tea Cups ride - complimentary tea with biscuits 12-2pm. Kids can make cookies for mom at the cookie decorating station. Live music, balloon artist, and dance performances throughout the day. Celebrate Asian Pacific American Heritage Month and Mother’s Day at the same time. Explore K-Wave and Korean culture from K-Pop, to K-Food to K-Fashion. Treat Mom to K-Beauty activities and learn about skin care regimens. Nail art workshop where you apply Korean images onto your nails. Live cooking demos. 2900 Southern Boulevard, Bronx, NY. 718.817.8700. Music, picnicking, and more. Family activities include outdoor fun, games like croquet and bean bag toss, walks, floral tours, learn about birds and butterflies. Live kid friendly performances on Daffodil Hill Stage. Celebrate with Mom, splash away at Sahara Sams for some splashtastic family fun at one of NJ’s favorite indoor water parks. Mom gets in FREE with one paid admission. Treat Mom to a getaway at Woodloch where she can relax. $100 Savings for weekend. Free golf fees for mom when accompanied with paying golfer. Plenty of family activities: Scavenger Hunt, Family Olympics, Archery Tag, Zip Lining, Boating, Pools, and much more!